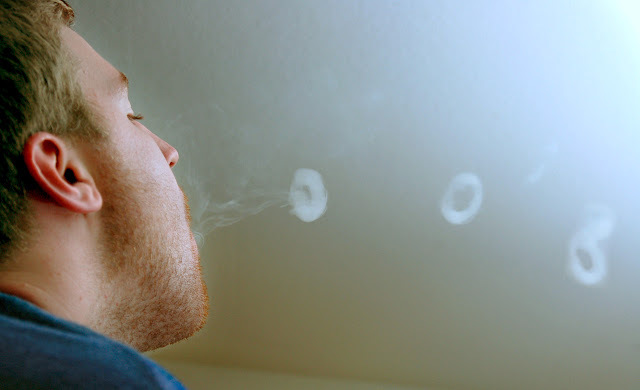 If you smoke you probably know how to make smoke rings. This is one of the coolest things that smokers can do while smoking, but nice smoke rings are not easy to do. You need to have some cigarettes with thick smoke and you need to practice a move with your lower jaw. More on this subject can be found on WikiHow (Yes, they described even this) As you will see in a photos that follows some people use so called smoke guns and even smoke cannons!? 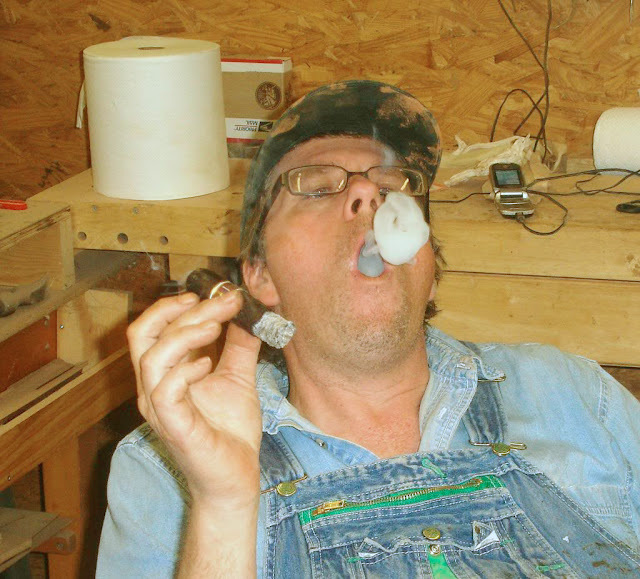 Anyway here are some images of people making smoke rings, and i just want to add that all people and smoke rings on this page are natural and simple, you wont find images of special perfect smoke rings here. Me like women making smoke rings! Do You? ;) Shape of their mouth is very sensual. This dude is enjoying his cigar, with thick smoke. Perfect for making smoke rings because you don't really need to inhale the smoke, indeed it is even better to make them this way without inhaling because the smoke it thicker. This man producing serial smoke rings. For this technique you need to move your jaw fast. Some people can squeeze one smoke ring trough another, which is very hard, but no one can squeeze three in a row. 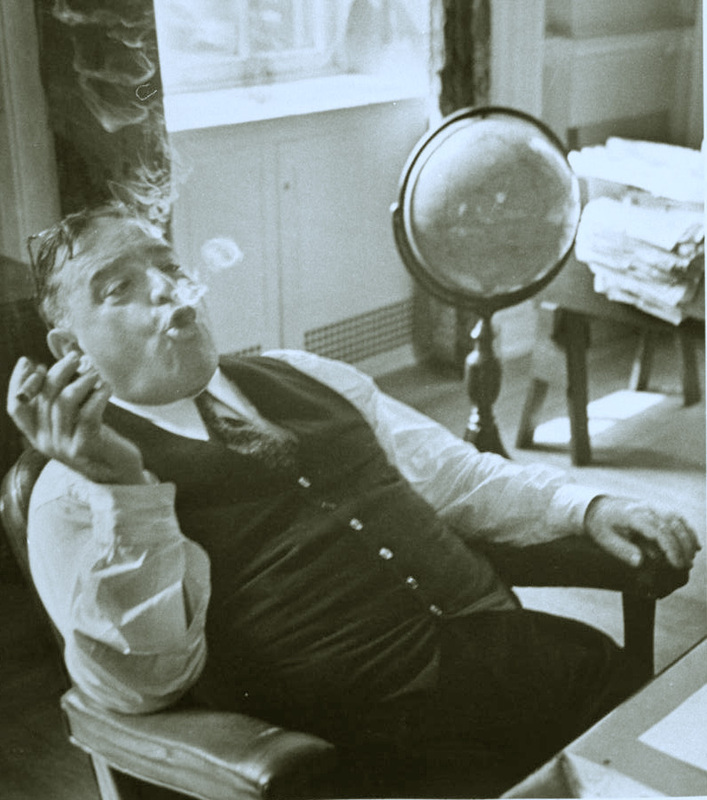 This is one old school smoker enjoying his cigar while comfortably sitting in his chair. He looks like some editor in chef of some magazine. Another girl that makes smoke rings. It is hard to concentrate on smoke ring with this cleavage in sight. Smoke rings for non smokers. If you don't blow you can always use a gun. Ether handmade or maybe there is some store that sells gadgets like this but it is probably very cool. I am not sure what kind of stuff you need to put inside to make smoke!? 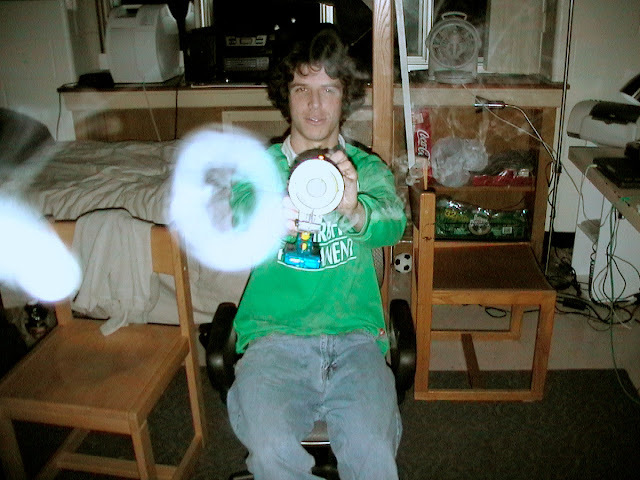 It is only smoke ring in a room full of smoke. 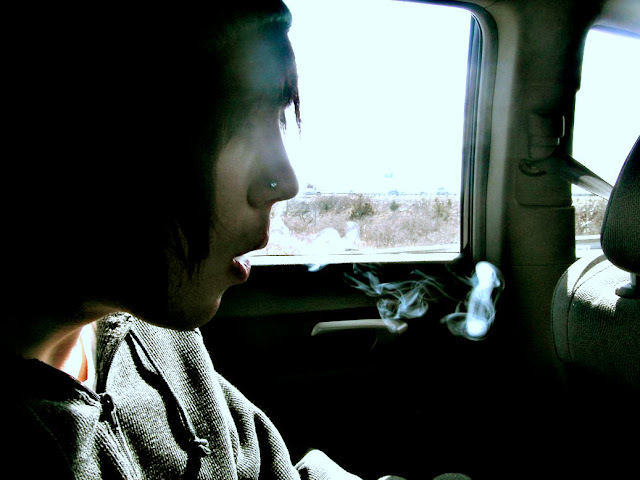 Girl with a nose ring doing smoke ring. And she is blond. Kind of cool I would say. Well her lips are certainly very nice. These guys are not kidding. This looks like school project but I am not really sure what it is. I know only that this is a biggest smoke ring cannon that I saw. I think that film industry can use one of these, not sure for what, but definitely look like something from films. 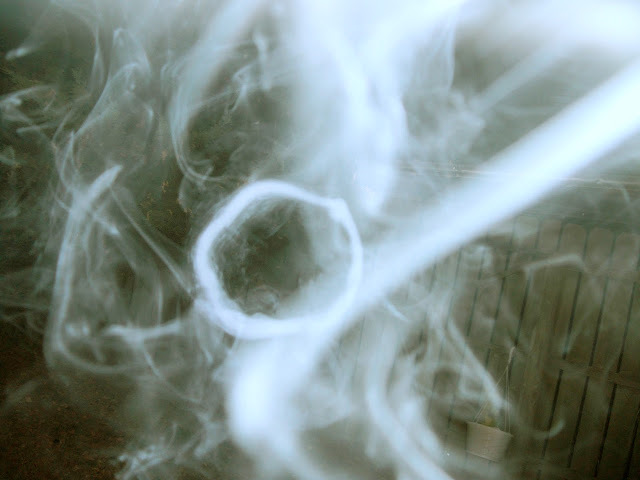 Not really representative smoke ring but I like the photo. This guy blows them with no effort at all. It goes naturally for him. Well we came to end of another photo-post. This one was about smoke rings. I must admit that this is strange subject for posting but as you could already guessed, it wont be the last. Me like strange!